Roof Slate, How to cut it. Estimating for residential work often tends to include a generous amount of sales and relationship work. Commercial estimating requires a different personality. A commercial estimator had better like numbers. This video is a really good overview of the job. 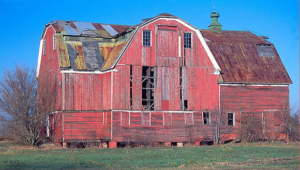 Most commonly referred to as “barn style”, a gambrel roof is generally two sided with each side having two different slopes. The upper slope is at a shallow angle, while the lower one is much steeper. Hazardous Waste Operations require trained and skilled technicians to carry out the work. Exposure to harmful substances can have lasting effects. This 8 hour hazwoper refresher course is specifically designed for workers who have already completed the 40 Hour HAZWOPER and need the 8 HOUR HAZWOPER to maintain their certification for cleanup operations, voluntary cleanup operations, emergency response operations, and storage, disposal, or treatment of hazardous substances or uncontrolled hazardous waste sites. Topics include protection against hazardous chemicals, elimination of hazardous chemicals, safety of workers and the environment and OSHA regulations. A Landman’s job is to identify a spot for a well. Research the adjacent properties: liens, owners, leases, etc. ; and then negotiate with all parties involved for the rights to drill for gas or oil. He deals with people, attorneys, companies, politicians. A good Landman will write his own contracts to assign and buy/sell mineral rights in question. The job involves lot of travel. One needs to go where the work is to make it happen. A bit of trivia: George W. Bush began his career as a Landman. The lowboy is the trailer, pulled by a tractor, and carrying an excavator. A lowboy trailer requires a CDL-A to drive. A luddite is a person opposed to new technology. You will find it used on this website, often in reference to a persons having adopted computers as a lifestyle. There are companies who are even still today, run by luddites. However most of the companies who are actually growing and hiring are very technology progressive. In general, the more a person incorporates computers and technology into their personal lives, the easier time…and the more choices they will have in their job search. Rarely afforded in a company with less than one hundred employees, an Operations Manager is someone who (much as the name suggests) oversees, designs and controls the operations of a company. Operations generally include some form of a) production, b) administration and c) sales or marketing. The OSHA 10 Construction Certification Training Program is intended to provide construction workers general awareness on recognizing and preventing hazards on a construction site. The training covers a variety of construction safety and health hazards which a worker may encounter at a construction site. OSHA recommends this training as an orientation to occupational safety and health. New York State requires it of anyone working on a public project valued over $250,000.00. The training emphasizes hazard identification, avoidance, control and prevention. Topics covered include: Introduction to OSHA, OSHA’s Focused Four Hazards (Falls, Electrocution, Caught-In and Struck-By), Health Hazards in Construction, Excavation, Scaffolding, Personal Protective Equipment and others. Instructional time is 10 hours. Students who complete the course will receive an OSHA 10 Hour Construction card. The 30-hour Construction Outreach Training Program is intended to provide a variety of training to workers with some safety and supervisory responsibility. The training covers a variety of construction safety and health hazards which a worker may encounter at a construction site and the regulatory requirements of OSHA. In addition to emphasizing hazard identification, avoidance, control and prevention; the student will also be introduced to the OSHA standards. By introducing our students to both the common hazards found in industry and the regulatory knowledge to remain in compliance, we reach our goal of providing students with the resources to be an effective safety and health manager on the job-site. Instructional time is a minimum of 30 hours. Students who complete the course will receive an OSHA 30 Hour Construction card. A project could be building a bridge from Buffalo to Toronto, or it could be remodeling a coat closet in a bungalow on the West Side. A guy in charge of painting the dotted line down the middle of our new bridge could conceivably call himself a Project Manager. And our coat closet remodel might just be part of a $20 Million grant designated to uplift the neighborhood. Someone needs to manage it. These are two extremes flipped on their heads, but the point is, almost anybody can label themselves as a project manager. This post attempts a very broad breakdown of project management in construction. New York is the only state in the nation with such a blatantly unjust law. All other states apportion liability in proportion to fault. For example, if a worker was 30% responsible for their own injury, the defendants are only liable for 70% of the judgment. The essential functions of the Service Manager are to prioritize, direct, supervise and train all field Technicians. Focus on customer service and delivery of product/service. The Service Manager utilizes customer service training to educate and assist Field Technicians with regard to educating customers in choosing service, finance options and handling customer relations. This position is aware of the importance of incentive programs and ensures fair and equitable distribution and proper documentation of work. Is knowledgeable of the concept of flat rate pricing and its and practice. Instructs others with regard to using the pricing policy. Note: The above is written for a Service Manager as it relates to a plumbing, HVAC or maybe Electrical service company. We will expand on it as we encounter more descriptions. What is a Sprinkler Fitter? A sprinkler fitter is a person who installs and maintains sprinkler systems in buildings and other structures. Sprinklers are fire suppression systems that are often highly complex and need to be installed in new structures to be compliant with fire codes. A sprinkler fitter will design the system so it is within such compliance, and he or she will install the system during the construction of the building. The system can also be installed in existing structures to bring that structure up to code and to help prevent the spread of fire.While no set level of education is necessary in some parts of the world, it is likely that a candidate for a sprinkler fitter apprenticeship will need to have completed at least a high school education. Even if such an education is not necessary, having a high school diploma will increase the candidate’s chances of securing an apprenticeship and becoming a sprinkler fitter. College degrees are usually not necessary, though job experience in the construction field or a related field will also help improve a candidate’s chances of securing a position. The fitter will work with a variety of materials, the most common of which is steel or iron piping. He or she will need to be able to read building schematics, and a knowledge of the local laws and regulations regarding fire codes will be necessary. The sprinkler fitter will need to design a system that is compliant with the local laws and ordinances, and he or she will need to be in good physical condition, as heavy lifting is part of the job. The fitter should also have a solid understanding of what types of systems are most appropriate for a particular structure; water systems are perhaps the most common, though many other systems exist. Inspection and diagnostic testing of sprinkler systems are other essential job functions of the sprinkler fitter. Once the system has been installed, it is likely it will not be used often, since most structures will not catch fire. The system will need to be ready for use at all times, however, which means the fitter must inspect the system to ensure it is working properly and address any problems that may prevent the system from activating in the event of a fire. A Tin Knocker is a fancy name for Sheet Metal Worker. Tin Knockers could find themselves working in Heating, Cooling, or what might be called Architectural or more specifically roofing. A good Tin Knocker will have great math skills and be able to conceptualize in three dimensions. Though not always required on the job, certifications may be obtained based on the specific tasks that are performed. The American Welders Society and/or the Sheet Metal Institute have classes to acquire such certifications.